Home Christmas Is Frosty the Snowman Protected by the Endangered Species Act? Is Frosty the Snowman Protected by the Endangered Species Act? Frosty the Snowman, with his corn cob pipe, button nose and two eyes made of coal, could dance around just like you and me. Well, not me. I’m a lawyer. I do not dance. Could Frosty be protected by the Endangered Species Act? After all, he is made out of snow and will melt when the temperature increases. A species is “endangered” if it is “in danger of extinction throughout all or a significant portion of its range.” 16 U.S. CODE § 1532(6). A species is “threatened” if it is “likely to become an endangered species within the foreseeable future throughout all or a significant portion of its range.” Id. § 1532(20). Conservation Force, Inc. v. Jewell, 733 F.3d 1200, 1202 (D.C. Cir. 2013). As a preliminary matter, the Endangered Species Act likely does not protect Frosty at all, because he is made out of snow. The law defines a “species” as “any subspecies of fish or wildlife or plants, and any distinct population segment of any species of vertebrate fish or wildlife which interbreeds when mature.” 16 U.S. CODE § 1532(16). 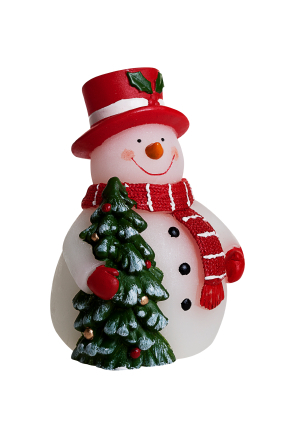 Frosty was made out of snow by children and came to life once an old silk hat was placed upon his head. Snow is not wildlife, plants, vertebrate fish or interbreeding wildlife. At best, Frosty is an atmospheric event that can sing and dance. Such an event would trigger the need for an old priest and a young priest or angry townsfolk with torches. Assuming the law did contemplate snow that had been animated with life, Frosty might be considered “endangered” because of “natural or manmade factors affecting its continued existence.” 16 USCS § 1533(a)(1)(E). Namely, it will get hot and Frosty will melt. It is extremely unlikely the Endangered Species Act would apply to Frosty, because he is made out of snow, thus neither a plant or animal. However, if the law did protect him, there is an issue of what the Secretary of the Interior would do next. Shipping Frosty to Alaska would certainly be an option.